While it's true that True2500 is a low VOC, LEED contributing product, it is also far more durable than competing brands. 80% of most commercial project budgets goes toward preparation and application. 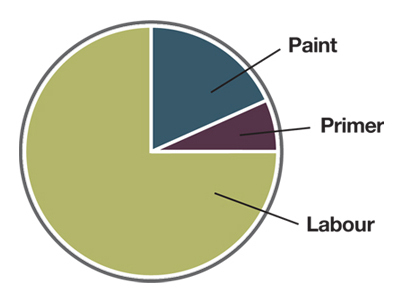 Paint is actually a small factor in a project's overall cost. Long lasting premium paint like True2500 requires less repainting saving both time and money.